PSI supply a range of variable speed drives to suit a variety of applications. Up to 90kVA power range, we can often recommend the perfect solution to suit your requirements. Specific for heavy-duty applications that require high starting torque and precise control. Where the speed drives are really useful? Reducing the speed of the fan is a much more energy efficient way than dampers to regulate the output of fans. Using a variable speed drive to control the pump rather than using simple throttle control can result in significant power SAVING. The potential for energy savings from using VSDs for air compressors will depend on the control system being replaced. 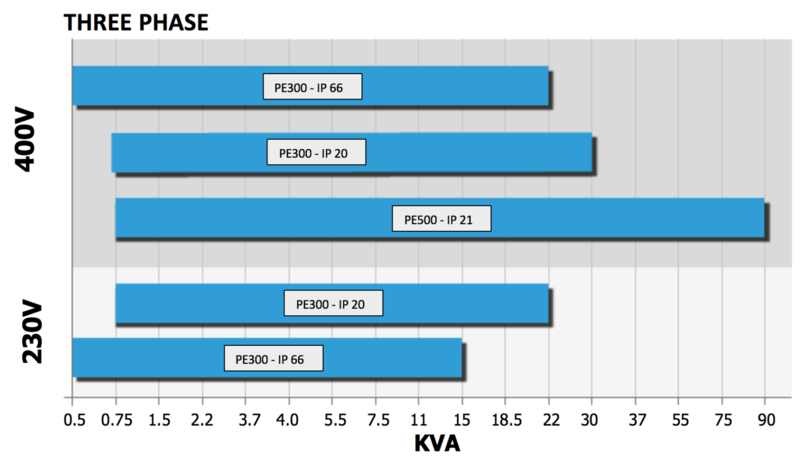 What is a Variable Speed Drive – VSD? Adjustable speed drive (ASD) or variable-speed drive (VSD) describes equipment used to control the speed of machinery. Many industrial processes must operate at different speeds for different products. Most motors are designed to operate at a constant speed and provide a constant output; however, modern technology requires different speeds in many applications where electric motors are used. 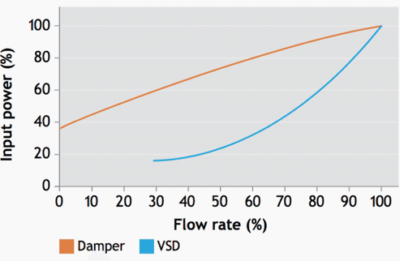 Effects of applying VSDs are in both productivity improvements and energy savings in pumps, fans, compressors and other equipment. A variable frequency drive (VFD) refers to AC drives only and a variable speed drive (VSD) refers to either AC Drives or DC Drives. 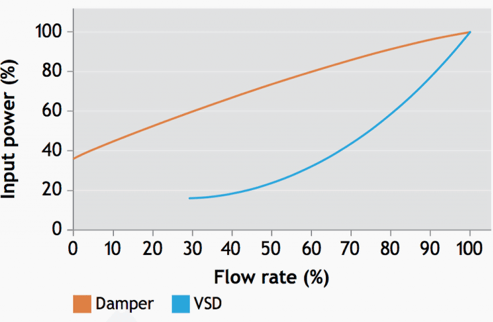 VFDs vary the speed of an AC motor by varying the frequency to the motor. VSDs referring to DC motors vary the speed by varying the voltage to the motor.